I typically only write posts like this when there aren't a lot of photos of people wearing a given item or any reviews of a given item, and I just whine about it. 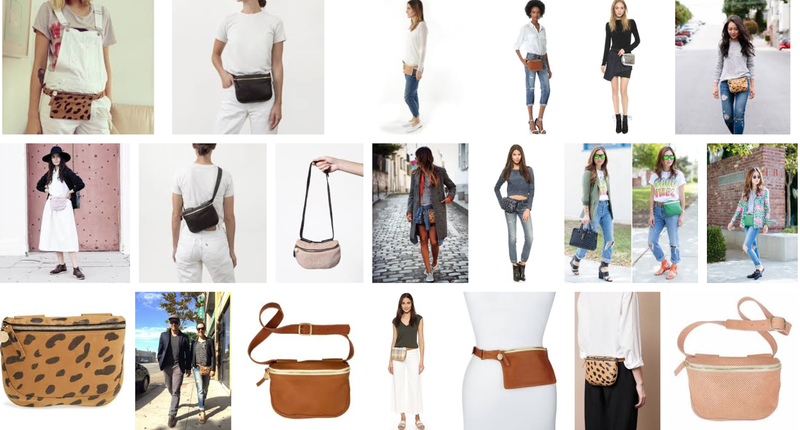 I just googled "clare v fanny pack" though and there are actually a few good mod shots. Maybe I was just limiting myself to instagram, and it wasn't working for me. Never underestimate the power of a google. Anyway, next weekend I'm going to LA and now that I no longer live near it, I am really craving a Disneyland trip. Disneyland is having their SoCal resident specials on tickets rn, and since Andrew is still a SoCal resident, I want to take advantage while we can. The best deal is the two-day one-park-per-day ticket, which you can use Jan 8 to May 24 on non-consecutive days. The real reason I want to go now, is because I want to see the Lunar New Year Celebration. I think it's only at DCA, so that will work with our one-park-per-day thing. More on that in another post. Long story short, I want a fanny pack for Disneyland. And for flea markets, and traveling, and hiking (lol jk) and basically just for my life journey. The Clare V fanny pack has been something that has entered and exited my want list for several years. I don't own anything from Clare V. I once ordered that very basic leopard calf hair clutch that all fashion bloggers wore two years ago, but immediately when I touched it I felt basic and like a sheep. I sent it back the next day. Good thing too, because the clutch is openly mocked as an influencer-led purchase in the amazing indie film Ingrid Goes West. This fanny pack is different, clearly, since it has been difficult for me to find any real photos of it on Instagram. This might indicate that this is not the most photogenic bag, but I don't care. This is about utility! I touched the Clare V leather fanny pack for the first time two weekends ago when I visited the Clare V store in Hayes Valley. It's perfect. The leather is the most supple and soft leather I've ever felt, and it has a chic belt loop fastening (aka not a buckle). It will fit in my belt loops, it can be worn over the shoulder, and it's unbranded. It will also fit my phone, wallet, and much more. It's basically like a Clare V clutch with a strap, but it's not a purse. So why didn't I buy it? Because it's $259 and seemed like a little much to pay for an impulse purchase of a fanny pack. Posting an entire blog post contemplating the bag and still wanting it at the end will probably justify that price tag as a treat-myself moment. Another consideration: how will this bag fit into my 2018 polished lifestyle?? Answer: because this fanny pack, not discounting the Gucci velvet marmont fanny packs, is the most polished fanny pack on the market. It's chic and without logos, made of good quality material, and Anne Hathaway owns one. So yeah, if the star of The Intern has one, I'm going to get one. I don't know that this bag is really sold anywhere else besides the Hayes Valley location in the city, and I don't know that I'm going to get there before my trip to LA. Taking a Lyft to Hayes Valley just to buy this bag makes me feel a tad desperate. 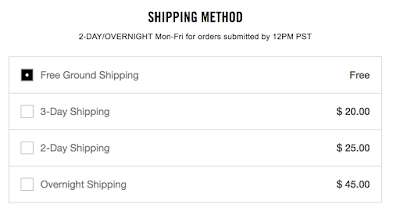 I might order it online once I post this. 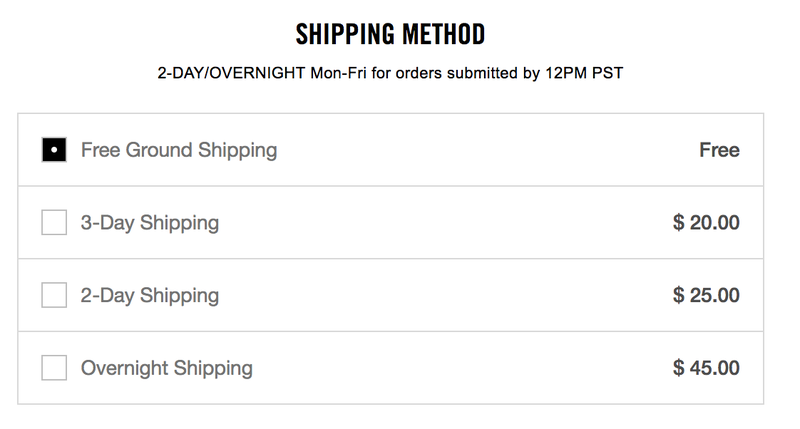 I put all my information in just to see what their shipping options were. Which were, disappointing. Will I order it? Will I take a Lyft to the store? I will keep you apprised accordingly.